Geographically, Andes is a mountain range in South America. Luckily we have our own Andes in Dubai nestled in One Central offering intelligent South American dishes. The space has a mix of wood, cement, copper and green, all of which are trending design aspects. The partially open kitchen gives you a glimpse of the young and highly skilled chefs behind the restaurant. Opening hours are 7am to 11 pm daily. Andes was created and is managed by Hassan Jaffar. 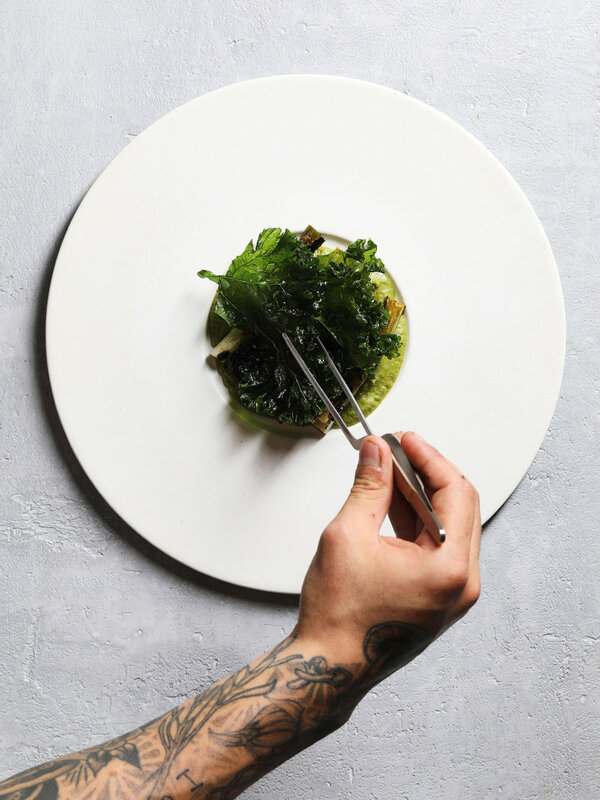 Leaving his finance career behind in London, Andes was a passion project fueled by his travels and appreciation for food. He describes Andes as a modern take on traditional South American dishes. At the kitchen helm, are talented (and friendly) Mexican Chefs Sebastian Jmnz, Salvador Sanchez and Alejandra Gul. The menu includes Breakfast (Scrambled Eggs AED 26, Avocado Toast AED 28), lunch and dinner with Starters (Heritage Salad AED 38, Ceviche AED 62, Smoked Octopus AED 78), Mains (Filet of Fish AED 64, Smoked Brisket AED 66, Lamb Barbacoa AED 66) and Desserts (Machu Picchu AED 36, Chocolate Tart AED 38). The menu has a healthy variety of choices and even includes strong vegan options that rival many dishes on the menu such as the Wild Mushroom (details below). The Smoked Octopus is listed as a starter but can easily be ordered as main course. Whenever octopus is put on a menu, you’re usually looking at a price tag of AED 100. At Andes, the well-portioned smoked octopus is set at AED 78. The smoked Octopus is laid on quinoa risotto with parmigiano reggiano and peruvian potatoes. Everything should be eaten in its best form, and smoked is octopus’s best. The Mole Verde (no longer on the menu, hopefully we can get it back on), is a traditional sauce eaten during celebrations in Mexico because of its time consuming preparation. 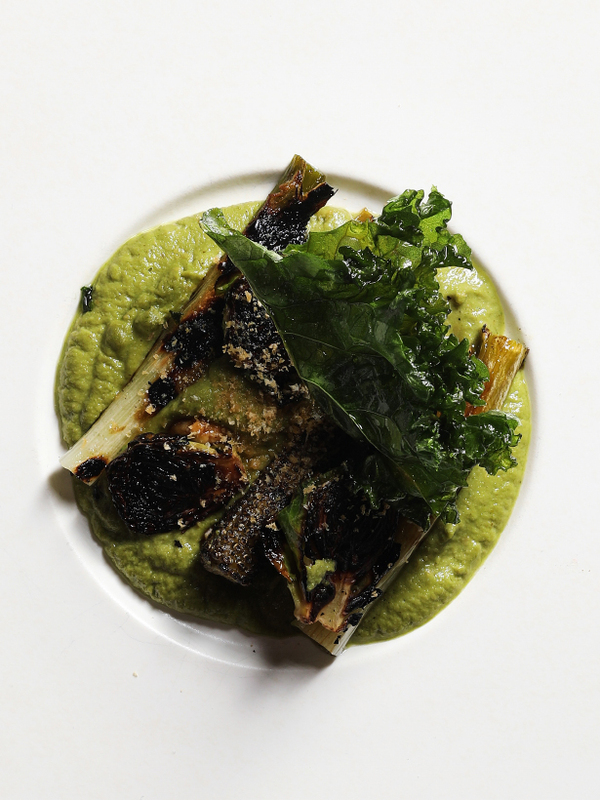 The Mole Verde at Andes was vegetarian and highlighted charred leeks. The Wild Mushroom (AED 56) is my favorite dish at Andes. 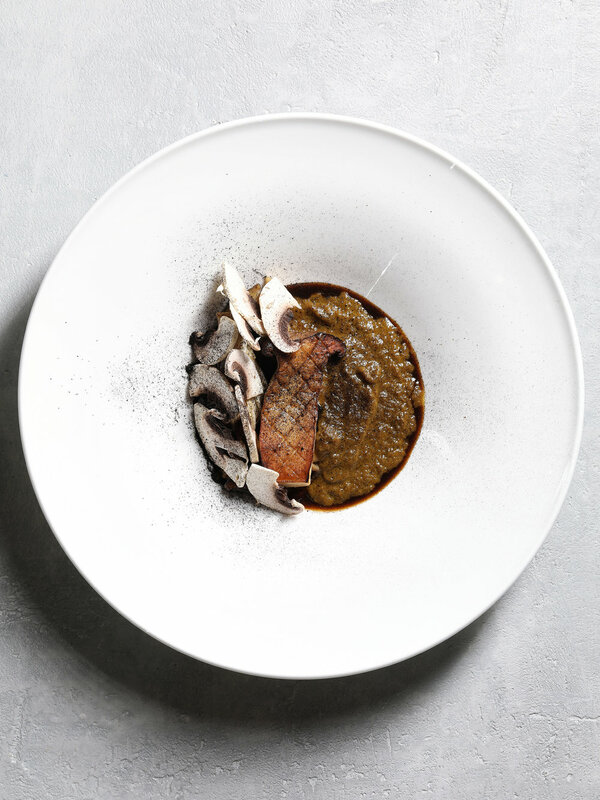 It’s a bowl filled with several types of mushrooms, some cooked, some raw, some sliced while others lay whole, all drenched in a mushroom infused gravy and almond puree. If you wanted to capture the taste of earth (soil), this dish will do. The Fillet of Fish (AED 64) is soft, milky and juicy (still with a crispy skin), is accompanied by vegetables and is a smart lunch option. Select any dessert with a sorbet, you won’t be disappointed, they are packed with intense flavors leaving your meal on a sweet high note. Try the Trilogy a selection of house made sorbet, ice cream and walnut biscuit (AED 32). In my opening, I mentioned Andes housed intelligent dishes; dishes with technique, with layers and with something unique to offer. Even with this, the price point provides great value for money to its customers. Please note, Andes is a non alcoholic venue. I’ve been to Andes a handful of times, it’s cozy, the owner and chefs are always present, dishes are well priced and they started serving breakfast (which I haven’t tried yet). A homegrown concept I’m happy to support.